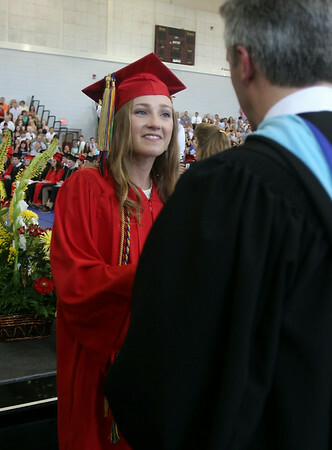 Marblehead High School graduate Lily Roberts shakes hands with Principal Layne Millington after receiving her diploma on Sunday afternoon. DAVID LE/Staff photo. 6/8/14.